Ueda uses a range of extraction techniques for oils and extracts odours from daily life. Here she uses smells that refer to the history shared by the Netherlands and Japan. Her installations are based on historical fact and arise in her imagination. In this space Ueda has created a maruyama geisha, a geisha's chamber. These geishas served as temporary wives for the heads of the VOC, because Western women were not allowed to enter Japan at that time. You are invited to sniff around and survey the room. 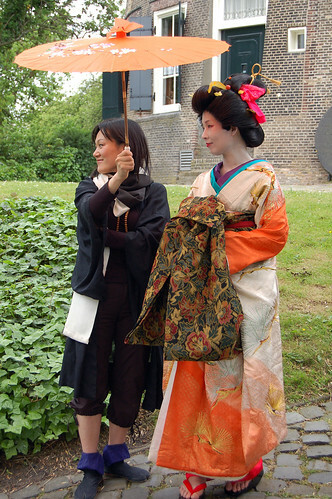 Step into the role of the geisha or that of the visiting VOC chief. Lie down on the tatami mats, powder your face and sample the odours of old Japan, smells that were so exotic to the first Dutch visitors.